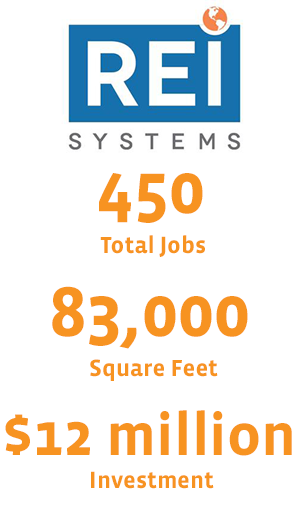 As a federal government contractor, REI Systems is one of the fastest-growing technology companies in the thriving Washington, D.C. area. The company has won numerous awards for its creation of complex web-based programs for federal agencies, including the U.S. Small Business Administration, Homeland Security and the Health Resources and Services Administration. Other clients include the World Bank, IntelSat and PayChex. Loudoun Economic Development first began working with REI Systems in 2011. REI was in the midst of significant growth, and looking for a new headquarters location. REI completed their occupation of the new headquarters, located off Vintage Park Plaza in Sterling, in March of 2012.